AhnLab V3 Internet Security is a security solution that covers almost all the ways in which it is possible to place a computer in danger, in such a way that we'll always be able to feel secure when working, browsing the Internet or communicating with someone from our PC. 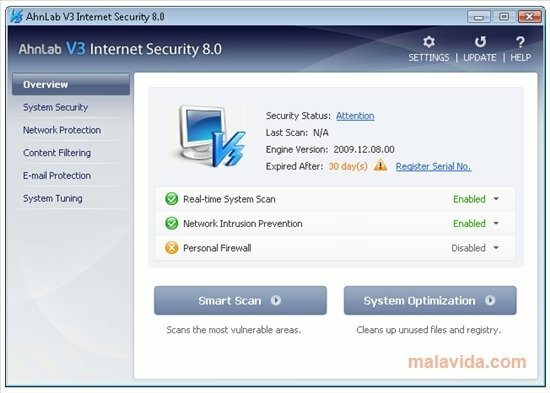 - Antivirus with a real-time analysis system. - Web security system to avoid being infected by means of malicious websites. - Firewall with programmable rules. The program's interface isn't as clear as that of other security systems, but after using it a couple of times you shouldn't have any adaptation problems. 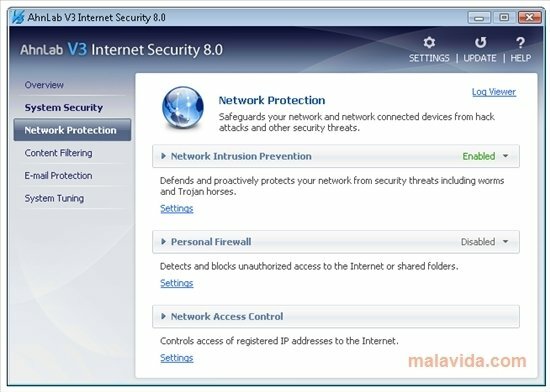 Discover a great alternative to the most popular protection suites on the market thanks to AhnLab V3 Internet Security, one of the most complete solutions available so as to feel secure when working on a computer.